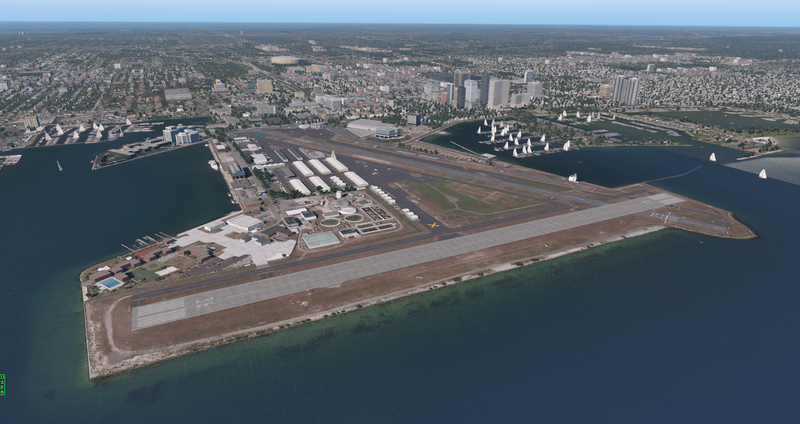 I’ve been working for some time on an Albert Whitted / KSPG (my home airport) for the X-Plane Gateway. I have a version complete, and I’m uploading it here in hopes that some readers might download it and test it out prior to submission. I’ve done truck traffic routes and ATC wind rules for the first time in this scenery, so I’d appreciate particular attention to AI behavior (and yes, I know some of the trucks drive through the occasional corner of a building, but I can’t really avoid it). So if you like, download it here and give it a whirl. 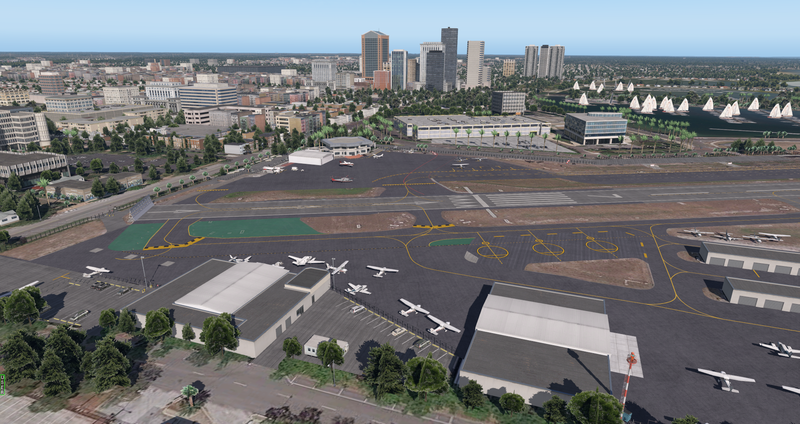 There are no scenery libraries required for this airport as it is made entirely with default objects, but it does require the 11.3 beta. Also note that the pics below (of an earlier version quite similar to the one here) are on top of my orthographic scenery and that this scenery does not include ortho imagery. Many thanks.